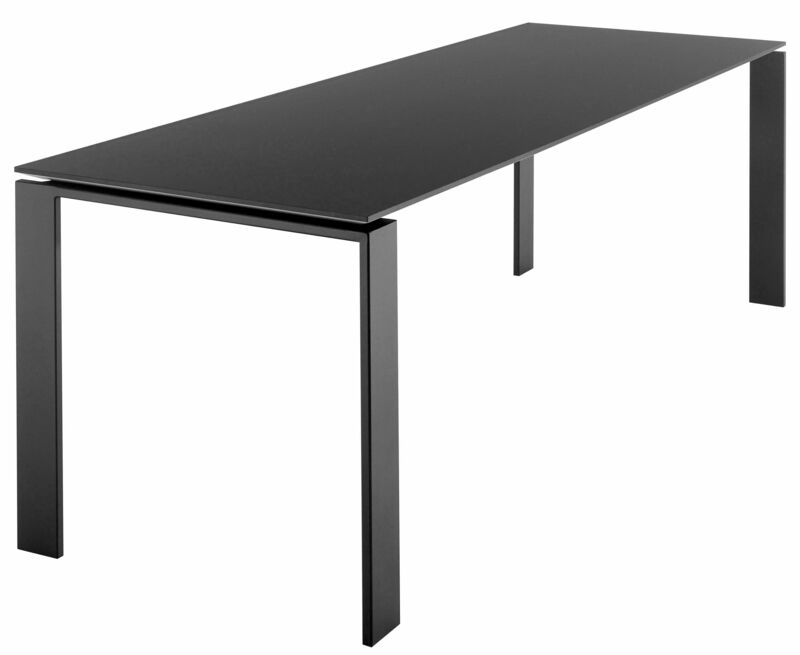 A functional and refined table with a strict geometric design. Thanks to the elegant design solution the thin top seems to be literally levitating into the air, allowing for the easy positioning of drawers and container elements for computer work stations. They can be placed side by side and can be used to form work islands in the office. Four is available in two versions: the first, more practical and informal, presents the painted steel structure topped by a surface in stratified laminate with a thickness of 2.5 cm. 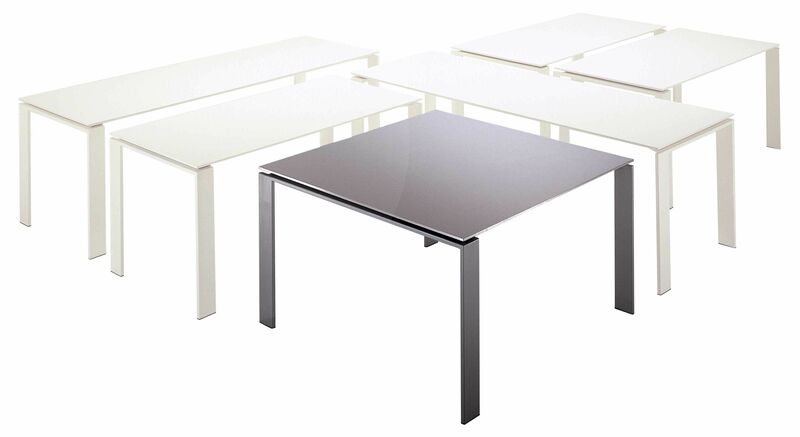 The second, rendered more sophisticated by the use of satined aluminium for the top, makes Four a representative table, ideal to give a touch of class to dining rooms, managerial offices and meeting rooms. Four is available in white, black or alumunium with 3 sizes 158, 190 ou 223 cm.